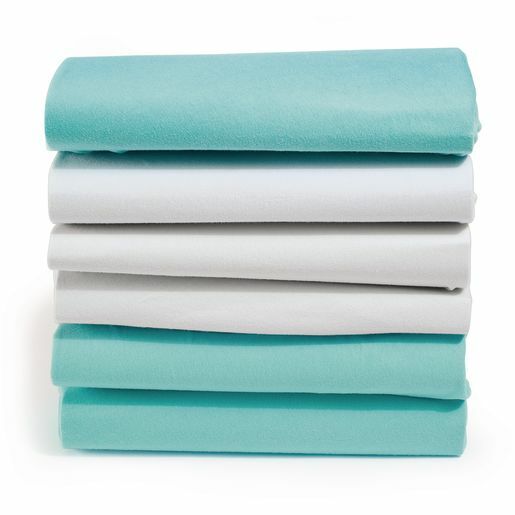 A complete set of machine washable, durable sheets at an unbeatable price! For portable crib mattresses. Choose from Blue or White. Available in sets of 6 or 12. Use non-chlorine bleach when needed.